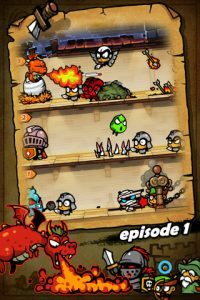 Despite the fact that Monster Towerfor iPhone opens with a three-panel explanation of “the story so far,” I still couldn’t tell you what the game is about. 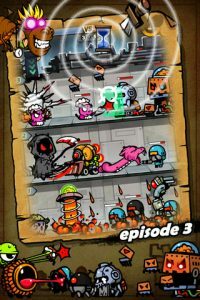 But that shouldn’t dissaude you from checking out this excellent iPhone game, developed by NOWCOM. Despite a somewhat confusing backstory, Monster Tower is a supremely entertaining mobile game. It’s sort of like tower defense, but without the towers. The landscape is completely different from any other TD game I’ve played. You will take on enemies in a three-tiered battle landscape, sending wave after wave of your own troops against the enemy’s forces. And with engrossing gameplay like that, who cares about the origins of the battle? All you need to know is there: there’s an egg. 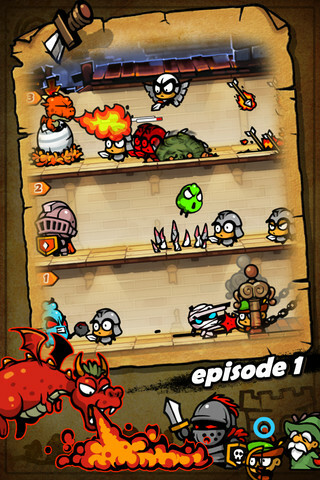 The egg must be protected, in order to hatch a Monster King. That’s a good thing. Unfortunately, one issue with Monster Tower is the language barrier. Not only does the backstory get a bit garbled in translation, but there are also some confusing tutorial instructions that seem a bit mistranslated. 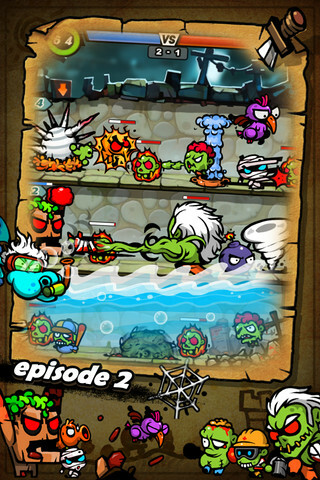 There are just under 40 different types of monsters in Monster Tower, which provides some exciting gameplay. 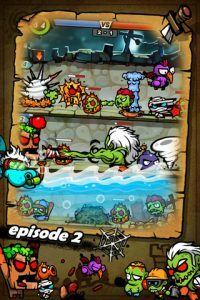 The graphics are really fun, and each monster has a very cool, distinct look. Additionally, the three floor battle structure that each level has can be spiced up with some pretty cool traps. The layout of each level does a lot to create tension and drama, and it’s nice to be able to see every battle without having to look all over the screen. 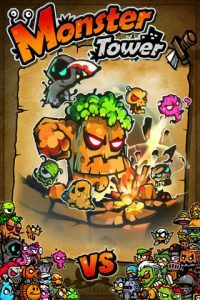 If you’ve been looking for a new twist of the standard strategy game or tower defense formula, Monster Tower is an iPhone game that’s definitely worth checking out. Given the fact that it’s free, you should overlook the confusing translation issues and just enjoy the fun. 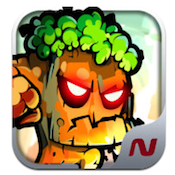 Monster Toweris compatible with iPhone, iPod touch, and iPad. Requires iOS 4.3 or later.A small expedite fee was paid by the developer to speed up the publication of this iPhone app review.